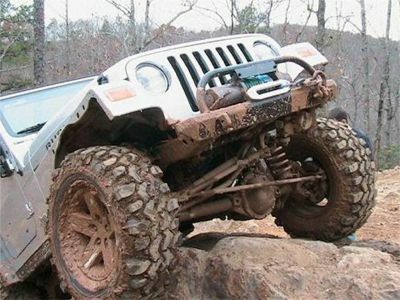 17,500 lb (4x4) strength, 30,000 lb (Hummer) strength. HD 4X4 and ATV sizes. XD Hummer size now available. .
Total . $75.99 . $89.99 . 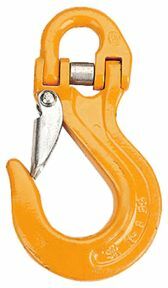 Features a wide heavy duty spring latch and a generous half-link which is locked in with a mighty shear pin. From TJ to HumVee this hook is as heavy-duty as you will ever need. For use with self-recovery winches up to 17,000 lbs. Total . $74.99 . $84.99 . 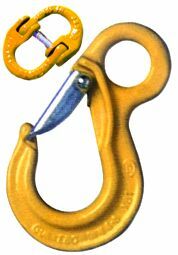 From TJ to HumVee this hook is as heavy-duty as you will ever need. For use with self-recovery winches up to 17,000 lbs. 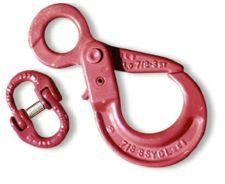 Heavy-duty latch with slotted tip resists side loading. Total . $69.99 . $79.99 . Bigger is Better! Tired of the tiny hook that came with your winch, never being big enough to fit the end of a strap, grab onto a tow point, or the like? More built-in safety and strength than you'll ever need. 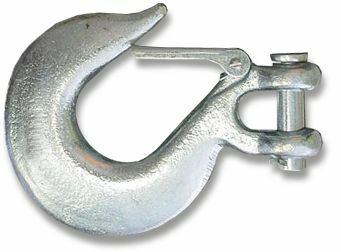 Mega winch hook with Safety latch. .
Total . $29.99 . $25.99 . AmSteel Blue is the latest development of HMPE fiber in a 12-strand braided rope utilizing Parallay design with proprietary blue urethane UV coating. .